Alice von Hildebrand was born in Belgium. She came to the U.S. in 1940. Soon afterwards she met Dietrich von Hildebrand and began philosophy studies at Fordham University as his student where she took nearly 18 courses with him. Later she became his secretary and collaborated with him in the writing of a number of his books. Starting in 1947, she began teaching at Hunter College in New York City. She was eventually appointed Professor of Philosophy at Hunter where for 37 years she was an extraordinarily successful teacher. A number of her students converted to Catholicism under her influence, despite the anti-Christian spirit at Hunter. She married Dietrich von Hildebrand in 1959. 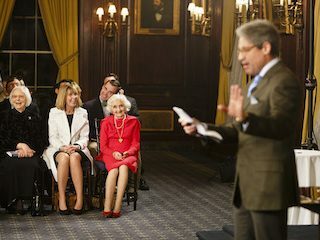 Upon her retirement in 1984 she was given a special award for excellence in teaching by Hunter College after she received the highest student evaluation in the College (from among 850 teachers). She is the author of numerous books, including Introduction to a Philosophy of Religion; Greek Culture; By Love Refined; By Grief Refined; The Soul of a Lion; The Privilege of Being a Woman; and Man and Woman: A Divine Invention, as well as numerous philosophical papers which have been published in such journals and magazines as Homiletic and Pastoral Review, Crisis, This Rock, and many others. Since her retirement she has been active in the Catholic world as a lecturer on countless topics and her journeys have taken her to South America, Canada, to thirty-five U.S. states, and to many European countries. In addition to her many years at Hunter College, she has also taught at several other institutions, including the Catechetical Institute in Dunwoody, NY, Franciscan University of Steubenville (where she served as a member of the board of trustees for many years), at the Thomas More Institute in Rome, at Ave Maria College in Michigan, and at the Notre Dame Institute in Arlington, VA (known today as the Notre Dame Graduate School of Christendom College). 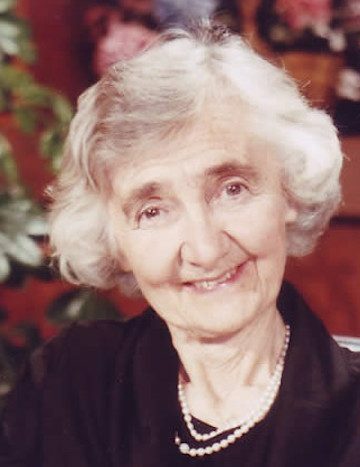 In her very active television career, von Hildebrand has made over eighty appearances on EWTN and two hundred and sixty at the Apostolate for Family Consecration in Ohio, many of them about her husband. 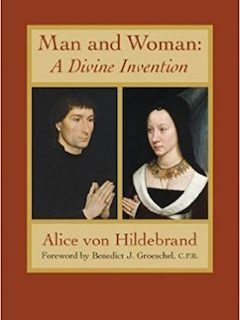 She has devoted her entire life to making known the thought and witness of her husband and philosopher, Dietrich von Hildebrand.